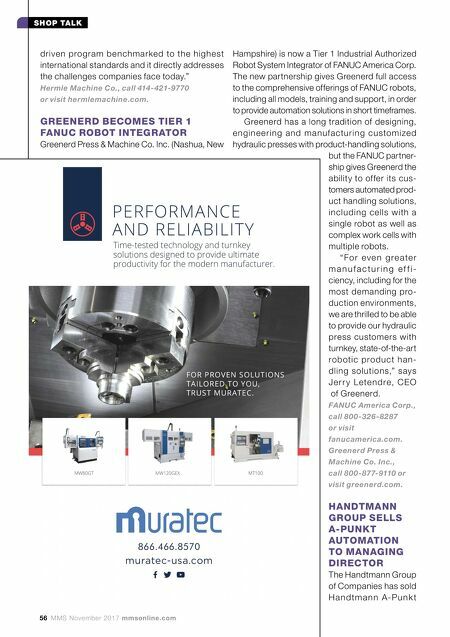 See Us At Booth B37022-North Made from a proprietary PVD coating, LIFE-EX™ Locating Pins are very hard, abrasion resistant, and slippery. The result is a component that has a longer lifecycle for high-production applications. LIFE-EX™ coating from Carr Lane Manufacturing extends the lifecycle of your locating pins, allowing them to remain in production longer with less need for replacement than standard uncoated items. 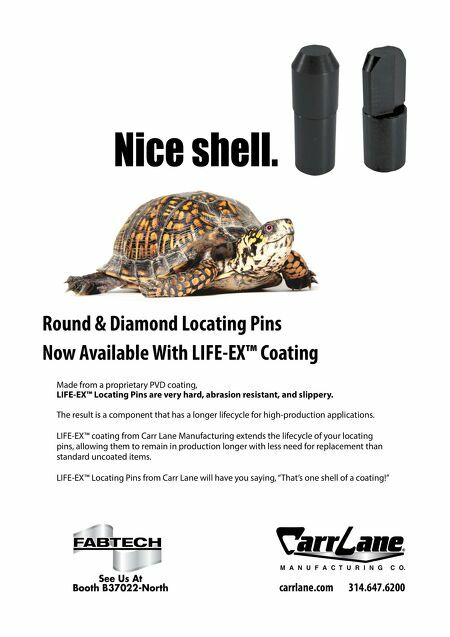 LIFE-EX™ Locating Pins from Carr Lane will have you saying, "That's one shell of a coating!" Round & Diamond Locating Pins Now Available With LIFE-EX™ Coating carrlane.com 314.647.6200 Nice shell.